The NSW Government has lent its muscle to a project led by the Australian Renewable Energy Agency that aims to prevent power outages during emergencies or extreme hot weather. The funding announcement will pump an additional $15 million into a demand response trial being rolled out this summer as temperatures begin to soar. The trial is a joint initiative between ARENA and the Australian Energy Market Operator that will involve paying energy users, such as businesses or even households, to reduce their energy consumption, free up stored supply or switch to distributed generation on request when reserve capacity falls to critically low levels. The program aims to provide a more reliable energy supply that is less susceptible to extreme events such as the storm that cut off power to much of South Australia in September 2016 or the heatwave Sydney sweltered through in February. The NSW Government has committed $7.5 million in funding to be matched dollar for dollar by ARENA. This combined funding boost brings the total amount committed to the project to $37.5 million over three years. Of that money, $30 million will be provided by ARENA. The $15 million in new funding will be reserved for NSW projects, and aims to generate 60-­70 megawatts of demand response capacity to be available during extreme peak demand days and emergencies. ARENA Chief Executive Officer Ivor Frischknecht said the matched funding from NSW would allow the pilot program to be expanded. “With the support of the NSW Government, we are able to scale up the pilot program by more than 50% which we expect will offer more than 160 megawatts of innovative demand response across the National Electricity Market ­of which more than a third will be available for NSW,” he said. “And this is just the beginning. This pilot program will provide proof of concept for how innovative and flexible demand side resources can help provide security and reliability as we transition to an electricity system powered by more variable renewables,” Mr Frischknecht said. ARENA has previously committed up to $22.5 million over three years in grants to trial demand response technologies and implementation models in the National Electricity Market, with a focus on South Australia and Victoria. With the new money to be spent solely in NSW, ARENA will now allocate the original $22.5 million to projects in other states, aiming to provide approximately 100MW of demand response in the rest of the National Energy Market. The move comes after the NSW Energy Security Taskforce reported in May that extreme weather ­ such as Sydney’s February heatwave ­could create spikes in demand and leave energy supply falling short. In its initial report, the Taskforce recommended the Government take precautions during energy emergencies including providing guidance on how to reduce demand effectively during peak periods. ARENA and AEMO’s pilot program to trial demand response has been endorsed by Chief Scientist Alan Finkel in the final report of the Independent Review on the Future Security of the National Electricity Market. The competitive funding round for applications to be part of the pilot program will be extended by one week and will now close on 17 July 2017. NSW Minister for Energy Don Harwin said the new funding showed that energy security was a key priority. “We need national market reform through the Finkel Review to secure a clean, affordable and reliable energy future,’’ he said. “This is a tangible way for NSW to deliver greater security in the lead up to summer, and we welcome the partnership with ARENA and AEMO in our shared vision for a smarter future energy market,” he said. Demand Response is a pilot program that aims to reduce energy consumption during extreme weather events and other emergencies by paying users to reduce energy use or release stored energy. The funding round will be open to a wide range of demand response technologies and methods from demand response aggregators to smart thermostats to battery storage to behavioural demand response projects. ARENA funding will provide grants to fund technology for energy users to become demand response ­enabled, including metering, monitoring, storage and distributed generation equipment and other set up costs. If demand response providers are called upon, AEMO will pay for usage through its existing Short Notice Reliability and Emergency Reserve Trader (RERT) scheme. The demand response pilot is the first proof of concept initiative jointly developed by ARENA and AEMO under their Memorandum of Understanding signed in May. 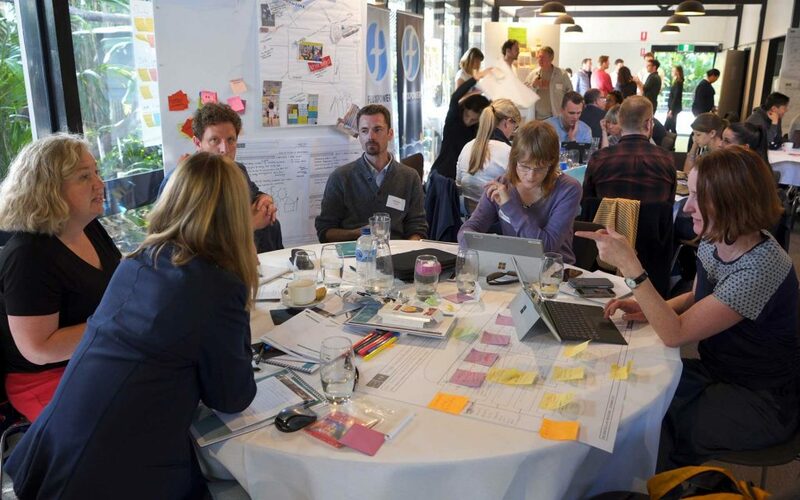 The design of the initiative has been informed by consultation with industry stakeholders, including an A­Lab innovation workshop held on 19 May 2017 and a Request for Information which received more than 50 responses.